Social media platforms such as Facebook and YouTube have provided a fertile environment for networking and the sharing of information. When it comes to ancient Egypt, there has been a recent increase in discussions of its languages and writing systems. 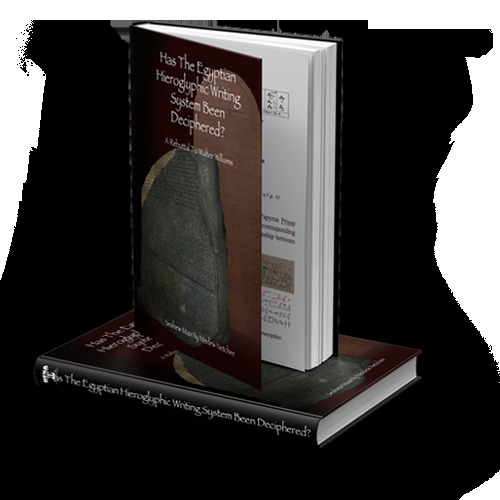 Through these discussions we have come to learn that there are a number of people who hold the belief that the ancient Egyptian Hieroglyphic writing system has not been deciphered. This notion can be traced back to a book entitled The Historical Origin of Christianity (1992) by Walter Williams. It became necessary to investigate the claims made by Williams that are often cited by people who hold to this belief. The purpose of this book is to provide the results of such investigation and address the claims made. Written by the Seshew Maa Ny Medew Netcher.